On March 27 in the Student Center Theater, the Office of Information Technology (OIT) showcased the Information Technology (IT) Master Plan to Tech faculty and students. By facilitating town hall meetings, OIT seeks to gain input from Tech staff and students while teaching them more about the plan. The document presents a clear mission: to provide and support the Tech community with the systems and services to foster innovation, productivity and success. Emphasizing the importance of technology in relation to the human condition, OIT’s Strategic Technology Investment Committee (STIC) helped develop the plan to promote technological advancement across Tech’s campus. The plan will promote technological progress through specific strategies and objectives. 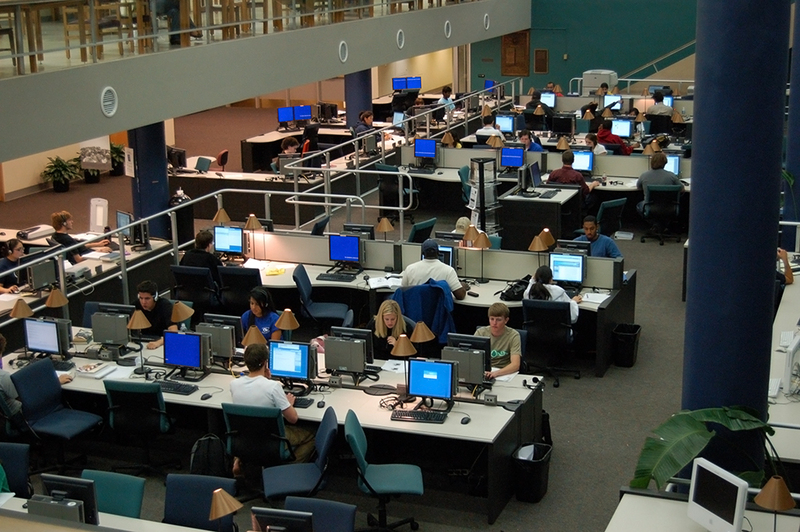 Most of the IT plan’s strategies even directly relate to Tech students. The “provide effective services and support to enhance instructional methodologies, processes and outcomes” strategy encourages the implementation of technological-enabled facilities to provide students with the tools to advance their education. Tasked with determining how to implement the IT plan, the Strategic Planning Advisory Group (SPAG) seeks to drive the plan to fruition. “We seek to create an ecosystem where all different parts [of the plan] are driving each other,” said Professor David Frost, a member of SPAG. Students remain enthusiastic about the document’s ramifications. “Hopefully, the Information Technology Master Plan will lead to better technologies in the classrooms around campus,” said Kendall Feaster, a first-year Marketing major. The IT planning process consisted of creating action steps and financial models, prioritizing incentives, determining a timeline and developing certain measurements for success. When developing the plan, they also looked at other institutions’ plans. By comparing documents, they determined a logical timeline of five years to enact the strategies. OIT also encourages Tech faculty and staff to consult the campus plan when developing planning techniques. The IT Master Plan is available at www.itmasterplan.gatech.edu.